Why will my mare go with spurs but not without them? Thanks for writing to me. Have you ever ignored your parents before? Why do you listen to them sometimes (like when you want to go somewhere so you are on your ‘best behavhior’) and other times you test the limits? It sounds like when you don’t have the spurs on your horse tests you. You could ride with a riding crop instead. Or you can learn to kick harder at times. Or you can use the end of the rein sometimes. These all accomplish the same thing as the spurs though. Your horse is likely saying that she naturally on the lazy side. I would suggest asking your parents or riding instructor for their opinion too as answering this by email is tough. Also check out the previous post on lazy horses. 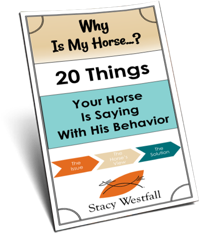 ← How can I motivate a lazy horse to go! And maybe some horses were trained with spurs early enough or long enough that it’s the only cue they really know? I imagine spurs feel different and touch a little further back than a heel does, right? So maybe keep riding with spurs, but concentrate on asking with the heel or leg pressure you want to use first, then follow with the spur cue until she gets it. Why don’t you want to use spurs? If the horse does better with spurs, use them. They aren’t abusive unless you make them abusive. Horses are sensitive, but in different ways. Just like people. I can feel a wrinkle in my clothes, but my husband can’t. The horse can feel a fly land on them, but it’s a different kind of sensitivity. It isn’t whole skin, it’s just a hair. And the fly isn’t making them work. If it is a personal challenge to get your horse to move without using them, start by using them. Then start by taking them off but keep them with you so your horse can hear them. You know, take them off while you are on. 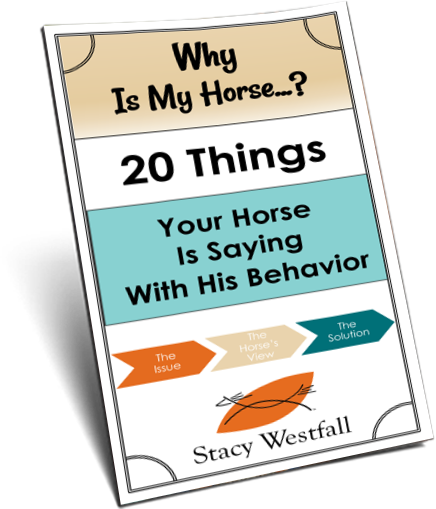 I have a horse that just needs to know you have them in order for him to respond better. I don’t even have to use them, just have them with me. When he hears the jingle, he reacts differently. And not in a bad or scared way for those of you who are anti-spurs. If it’s a matter of concern about hurting the horse, get spurs with short, flat spikes on the rowels, or solid rowels. Also, make sure your spurs are loose on your heels and can move some up and down, but not so loose they fall over the back of the heel. I dont use spurs on any of my horses and have never had a problem with my horses not going forward. I believe horses are more sensitive than people think they are they can feel a little bug they can feel your leg on them without spurs. I ride with my seat and legs and not much heel. I feel if a horse is started right you wont feel the need to use any harsh equipmement such as spurs big bits and draw reins. I will give them a spank if they need it dont get me wrong but that usually does the trick. To me horses mean more than a blue ribbon at a show I try my best to get one but haveing fun is more important to me. My horse, a Morgan, also seems to prefer spurs; I suspect because they are a clearer signal. I don’t have to kick with them, just touch. Perhaps my legs are confusing and inconsistent to him without spurs. I am a beginner rider myself and not a trainer or riding insturctor or anyting special but with a backgground in pschology and many experiences with horses/dogs that do things for others and not me 🙂 I find that when I am %100 percent to my core postiive I want the horse animal to do something they do. I have not proven it even to myself yet but I believe so far until proven wrong that the aids we use are for our own confidence that we can get the horse to do what we want. Sounds like stacy is right she is testing and when you have spurs you BELIEVE you can make her go so she does. Try visualizing her listening when you ask without spurs over and over until you believe she will listen without them. Love to hear if it works or not!